(Lilongwe, September 27, 2016) – Malawi's government has failed to protect the rights and livelihoods of people living in nascent mining communities, Human Rights Watch said today in a report released on eve of the International Right to Know Day. Families living near coal and uranium mining operations face serious problems with water, food, and housing, and are left in the dark about health and other risks from mining. 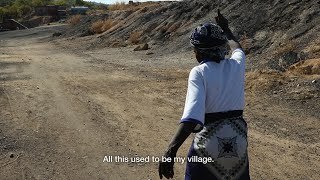 The report, "'They Destroyed Everything': Mining and Human Rights in Malawi," examines the impact of extractive industries on communities in some of Malawi's first mining areas, in Karonga district located on the northwestern shores of Lake Malawi. Malawi's government has promoted private investment in mining and resource extraction to diversify its economy. But environmental risks are common in resource extraction and mining significantly contributes to climate change, which in turn affects governments' ability to realize the rights to health, water, and food.